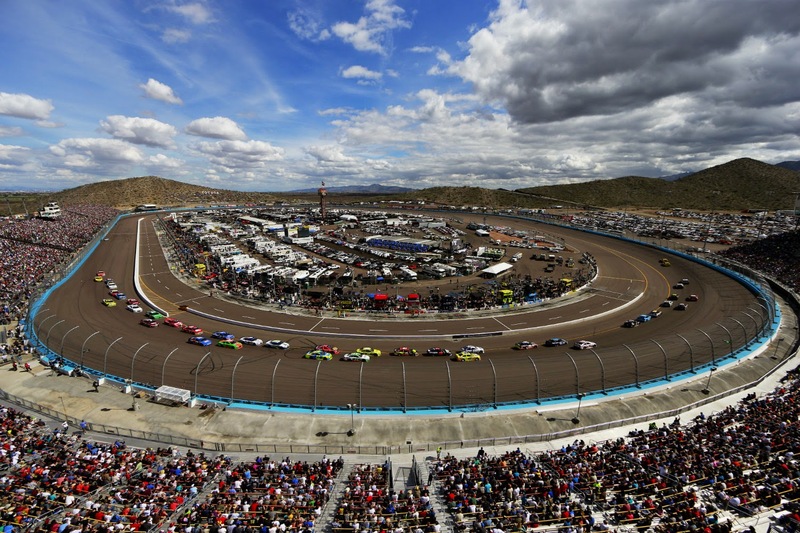 Phoenix International Raceway will set the stage for this year’s Chase for the Sprint Cup championship battle, as the four top drivers from the Eliminator Round will advance to the Championship Round on November 16th at Homestead-Miami Speedway. Learn more about PIR in this week’s Fast Facts. January 1964 was the completion date of Phoenix International Raceway. The track originally included a 2.5-mile road course, which became a 1.51-mile track in 1991, and a one-mile oval. Sports car driver Davey MacDonald won the first event at PIR on the road course on February 16th, 1964; five weeks later on March 22nd, A.J. Foyt won the first oval-track race at PIR. The first “Copper World Classic” was contested in February 1977. The Classic was a special event for USAC Midget and Silver Crown cars, featuring two road course races and two oval-track races. In July 1987, NASCAR announces the first Cup Series race at the track, taking place November 1988. That race, the Checker 500, was won by Alan Kulwicki, his first career Cup Series win; he celebrated by making the first “Polish victory lap” around the oval. On February 5th, 1995, the NASCAR SuperTruck Series – now the Camping World Truck Series – made its national debut at PIR – Mike Skinner won the Skoal Bandit Copper World Classic. The series’ final race of the regular season, the GM Goodwrench/Delco Battery 200 was also held at PIR, with Skinner visiting victory lane once again in October. The first NASCAR Busch Series – now Nationwide Series – race was held at PIR in November 1999, with former Copper World Classic winner Jeff Gordon going to victory lane. In 2004, it was announced that the Cup Series would get a second weekend at PIR beginning in 2005. During the winter of 2004-05, lights were installed at PIR. The first night race was the first spring race in April 2005, won by Kurt Busch. Brad Keselowski holds the track qualifying record at PIR – 139.384 mph (25.828 seconds). Ryan Newman has the most poles at the track (four), while Kevin Harvick has the most wins (five). Find out more about Phoenix International Raceway at www.phoenixraceway.com. I love the space here. I attended an amazing event here and I ate more than I should. I had bread pudding, apple crisp, waffles and strawberries and cream. The main floor for NYC events is very large and good size without being overwhelming, also there's tons of bar space too to order drinks.